Director Francis Ford Coppola asked Mickey Hart to provide a percussive underscore for his 1979 film Apocalypse Now. Combining the quiet sounds of tablas with harsher sounds of drumsets and demonstrating Hart’s propensity for unusual time signatures, the album echoes the tones of war and death, and features extended tracks as well as tracks not included on the original LP release. Says Hart, “If you are paranoid, please don't listen to this music. It is dark... The music reaches out and grabs you. 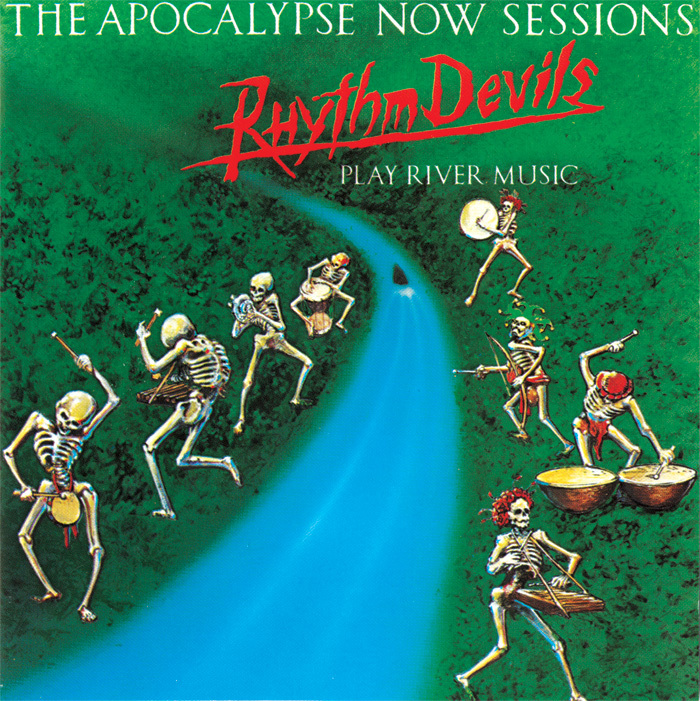 It is sad...and cats hate it.” Originally released in 1980, The Apocalypse Now Sessions was reissued in its expanded form in 1991 as part of “THE WORLD” series (now part of the Mickey Hart Collection made available by Smithsonian Folkways).